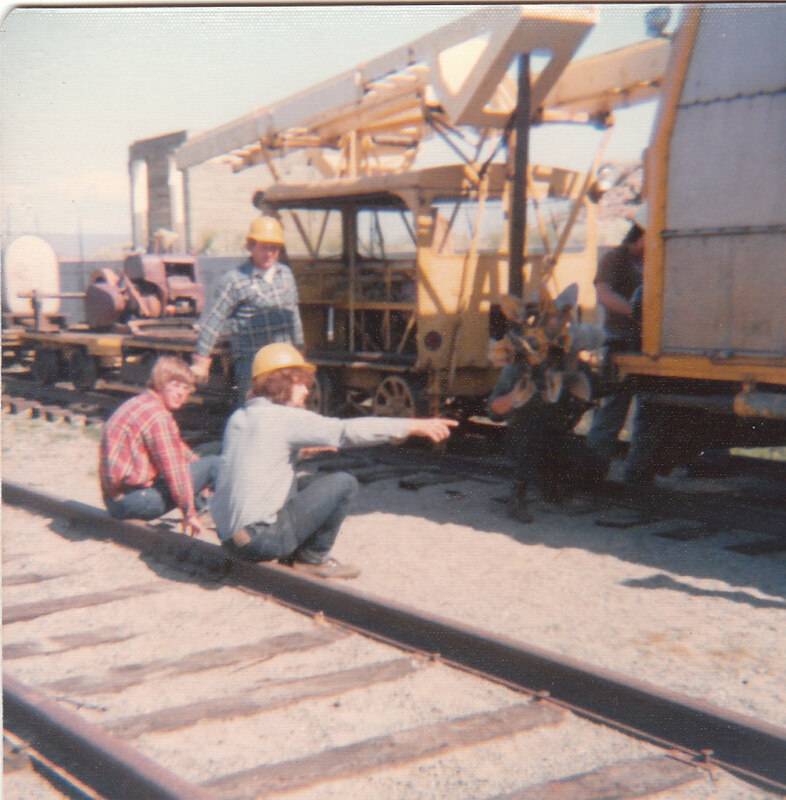 Marc Robertson, a visitor to GSRM's website and former Milwaukee Road employee had an opportunity to work with Line Car T1 on Milwaukee Road's Coast Division between 1973 and 1976 and shared the following photos as well as some insight of what it was like working with T1. Robertson tells GSRM T1 was built in Milwaukee Road's Tacoma shop and he was told the transmission is from a WWII tank and featured 4-speeds in a u-shaped pattern. "It was a usually a Friday job that one of us (short straw guy) had to grease the axle bearings, seems like each of the four bearings took an entire grease gun full of grease. The T1 had a chain drive one for each axle. There was a small box reservoir in the floor near where the operator sat. It had a couple of holes and nails in the bottom that lined up directly over the chains. We would fill that reservoir up with crank case draining’s and let it drip on the drive chains to lube them. Replacing brake shoes was fun too. I don’t know what was used for the shoes, if they were special ordered or available. It had an air brake system kind of like an independent brake of a locomotive. 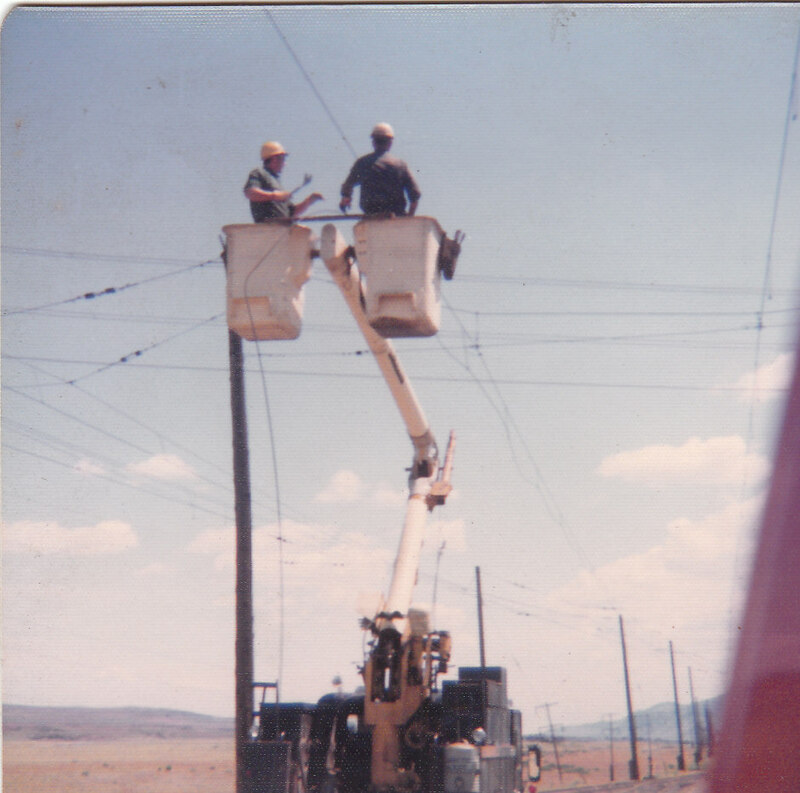 If it still has the wooden knobs on the throttle and brake those came out of the substation equipment. We would add little custom things like that when we were sitting in the clear waiting on trains. T1 used to have a small oil stove for heat and we would heat soup and toast sandwiches on it too. All of that equipment we either pulled out to the work site with the T1 or one of the hi-rail trucks. We worked off of what is called a line-up we would get from the train dispatcher. Had to fit between the trains and put up flag protection. 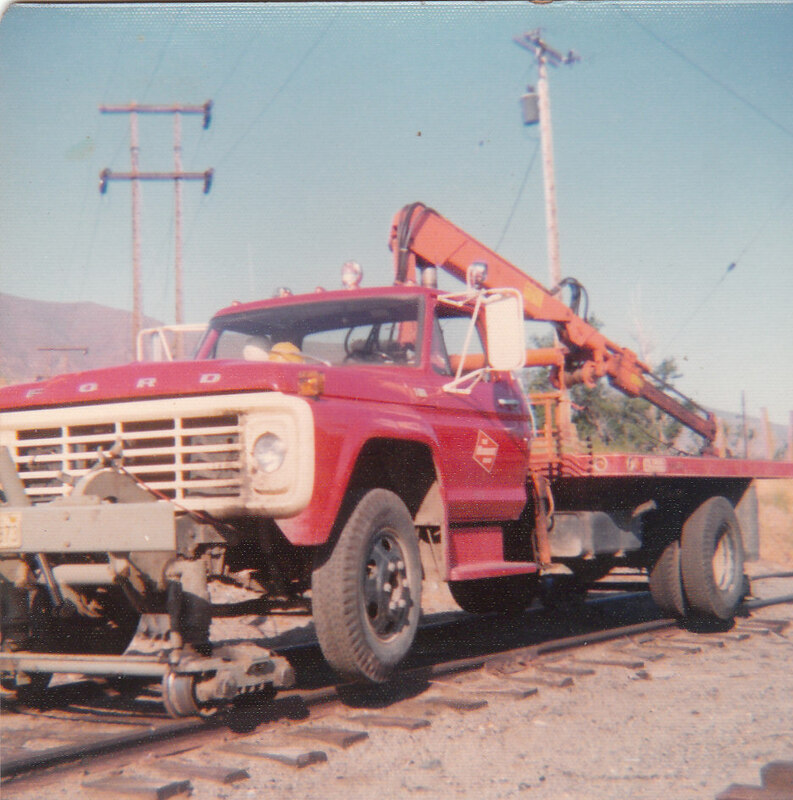 We would work out of one area until it got to be a long drive or there was no place to tie-up the T1 and the box car we were storing the copper in. Then we would move down the line to the next logical place. The railroad usually hired a security cop to watch over the copper as it would get pilfered on occasion. It had an elaborate wooden platform on the top that was in its new days totally varnished to stay dry and act as an insulated work platform for the trolley linemen. The platform was raised and lowered by means of some long jack screws powered by a pair of DC motors that looked like starter motors or actually may have been. It was kind of like a scissor lift of today. We (the grunts) tried to run it up one day and it started to go up, but we stopped figuring it would stall and be stuck and the bosses would be mad at our playing around with it. 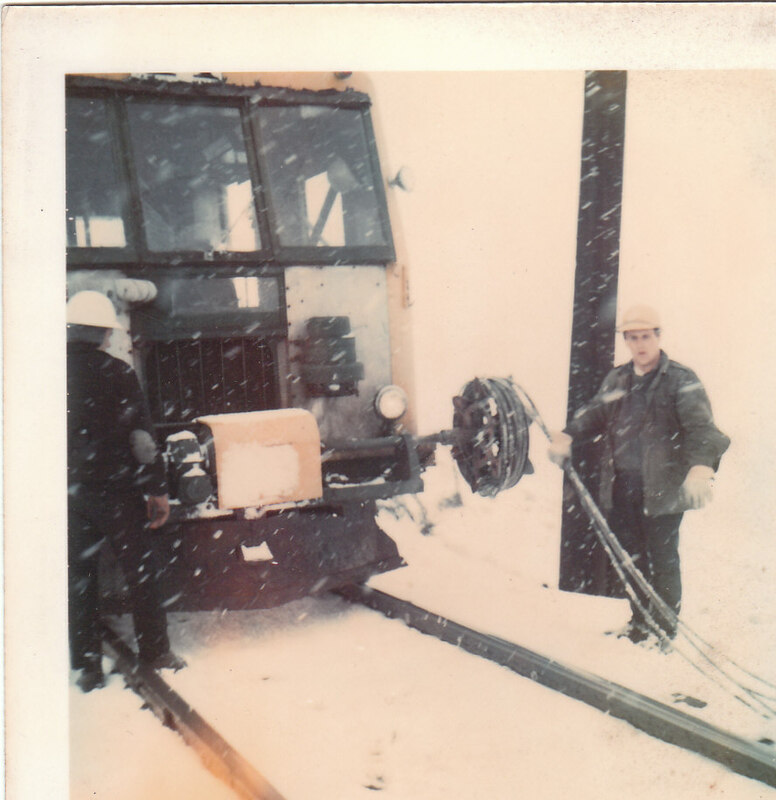 In the attached photos, they show us using the T1 to roll up the copper and steel wire of the trolley. 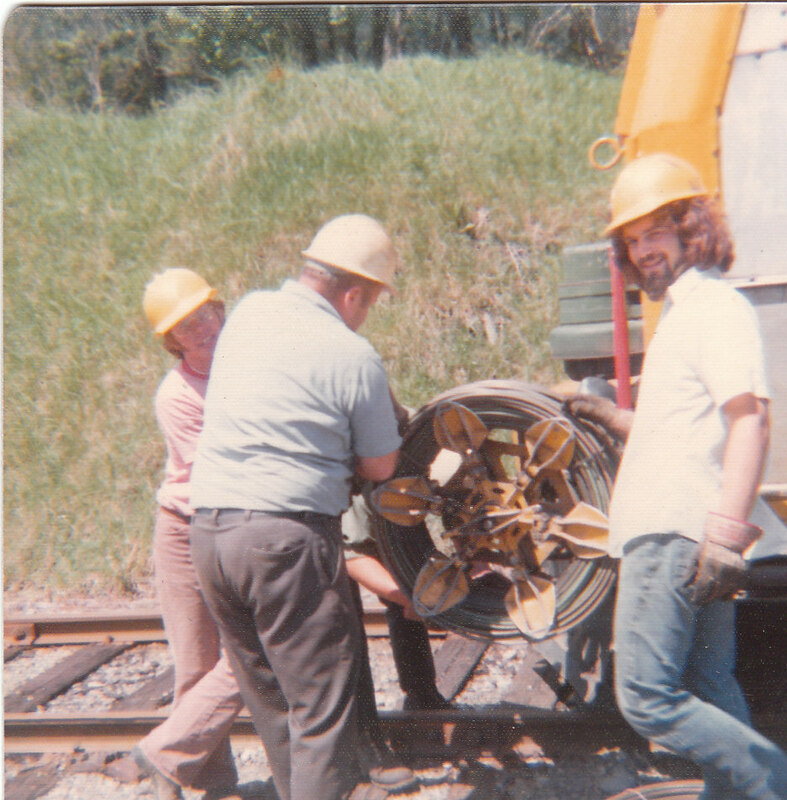 One of the photos shows some of the other old equipment we used when the T1 or when the hi-rail trolley trucks were broken down. We had a push cart set up with a winch set to take the “butterfly” take up reels. One is of a speeder set up with some buckets to get up to the trolley. One shot shows a hi-rail trolley truck with the linemen taking the trolley wires down. The T1 came up behind and rolled up the wire. GSRM thanks Robertson for sharing his photos and insights. I was surprised to see an old friend on your web site. Milwaukee road T1 was used to maintain the overhead electric system between Tacoma and Othello, WA. I most often saw it at Ceder Falls, WA. After the electrics ended it was kept at Ceder Falls to support the track gang. It remained in service until the west end was abandoned. I got to ride it once. After the Everett branch was abandoned the Milwaukee ran an inspection trip over the line for Snohomish and King county officials in hopes of getting them to buy the line. I was told that it was built in the Tacoma shop but never saw any documentation. GSRM thanks Taubeneck for sharing his memories of T1 (reprinted with Taubeneck's permission). "Since the Milwaukee Road abandoned in the Northwest in MArch, 1980, I'd often wondered what ever happened to Wire maintenance car T-1, which was used by crews right up until the railroad shut down. Imagine my amazement when I find that it's preserved at your museum! 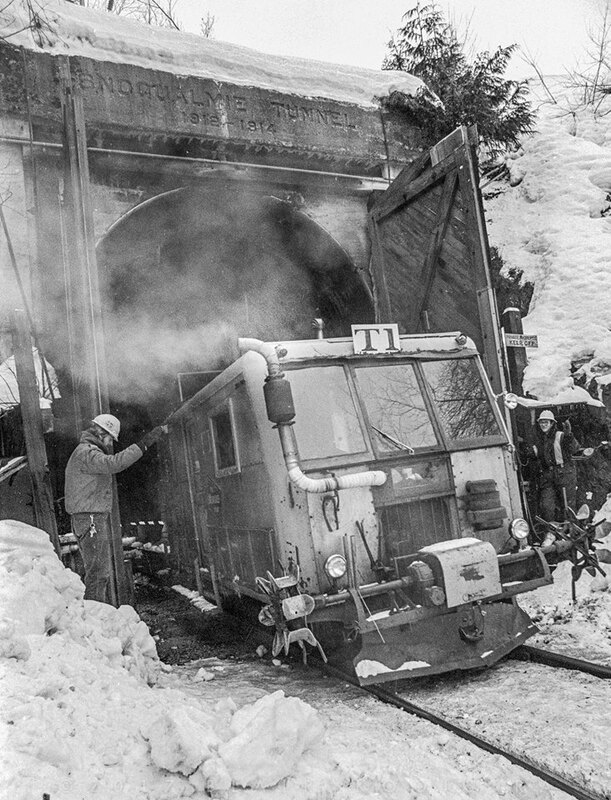 Thought I'd share this view of it ducking into the 2-mile long Snoqualmie Pass tunnel at Hyak, Washington, on January 3, 1979, moving a maintenance crew westward in the Cascades. Feel free to use this as you see fit on your various on-line communities. I hope someday to see it in person again!﻿"
Blair - thank you for sharing the great photo!